I have a small 1960s & 70s fanzine collection. 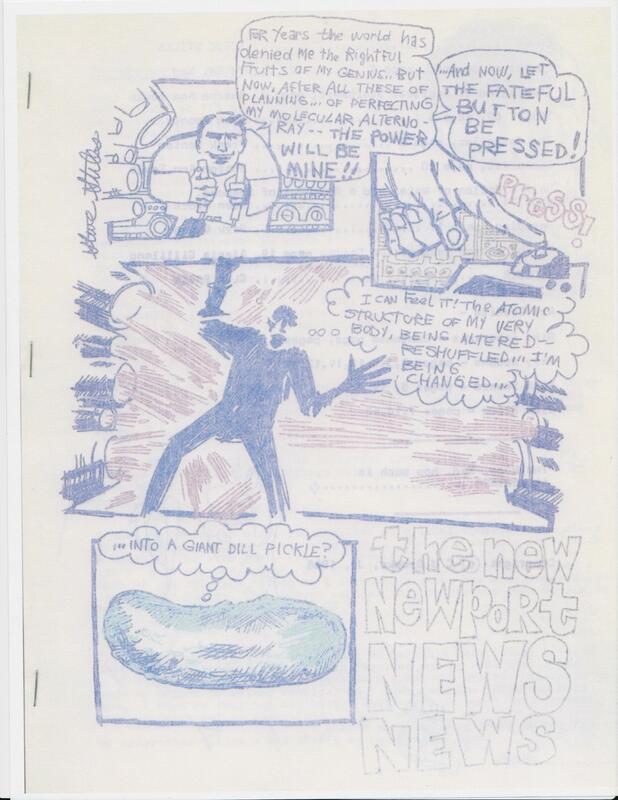 I was going through it this morning and found the August 1968 issue of “The New Newport News News” with the most interesting comic on the cover. Look, I’m #PickleRick! Hey Rick and Morty creators, were you aware of this?